In the twenty-first century everybody and everyone is hooked into their systems and each and every single second millions and billions of packets of data are getting transferred from location to another, and system to another. The big challenge was the advancement of internet has given us the freedom and helped us to enhance our potential by making the data absolutely free and accessible from any part of the world. The concept of cloud computing has brought a revolution in the digital world and helped the people all over the over the world to share data and work together without any inhibitions. People can collaborate and work with anybody and everybody, the geographical barriers, and the physical distance do not matter anymore nowadays. Cloud computing basically works by uploading some core files to a safe and secure server so that the clients and the users can access these files from any anywhere in the world. By selecting a good CASB solution, Cloud Security is not a big challenge anymore. How Data-Safe Are Cloud Services? It is up to you to decide what the researchers out there were thinking when they coined the term called ‘cloud services,’ when it has so much of weight around it. No doubt it was a big challenge about the fact that cloud services with their poorly defined perimeters and never-still structure have caught the fancy of most of the business leaders, which maybe apprehending that it is not something like a gust of wind that will suddenly appear and blow away one fine day. But is the cloud necessarily just a talk of the town with its metaphors and perceptions or is it something which is here to stay? The debate is whether the cloud being so imminently strong, yet vulnerable to data leakages, data thefts etc., is useful as a service or not. When we say it is vulnerable, it is in that sense that when you give away every data into the cloud networks, you are not in control of the computing environment and you must trust them to be honest and competent. Just ponder over some things like what if someone who has full control of either the hardware or the virtual machine that your software is running on can do to you maybe through sheer negligence or utmost intention. How Good Is Your Cloud Service Provider? The big challenge of using cloud services solely depend on the cloud service providers you hire. Before you sign on the dotted lines, carefully read the terms and services and investigate your prospective cloud service provider. How careful are your cloud service providers about their own system management and system software integrity? Is your cloud provider’s internal audit in place to monitor the employees? Are the cloud vendors that you are choosing aware of their work terms and services? Can those cloud service providers be trusted upon? 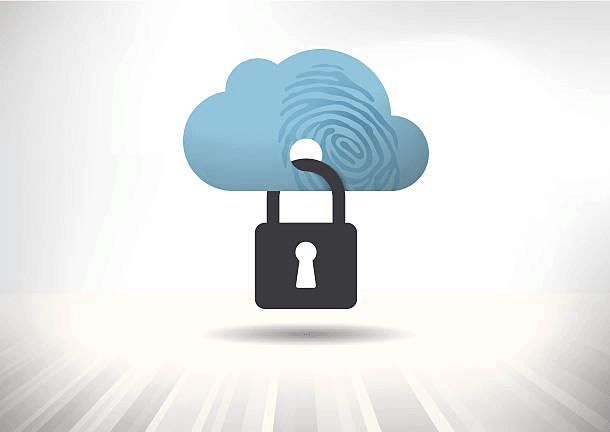 Does the facility of chosen cloud vendors having adequate physical security? Is regular check done to ensure that there are no unauthorized intrusions into the services provided by cloud vendors? Your data and computing definitely have some value to your business and how much worth is it that has to be calculated by you. Buy insurance either from the cloud service provider or from a business insurance underwriter. The next thing is to know how good and trust your service provider is. Once these two things are in place, rest assured that your data is in safe hands. Multiple types of security enforcement are provided by CASBs. Examples of the security policies are authentication, single sign-on (SSO), credential mapping, tokenization, malware detection/ prevention, logging alerts, device profiling, authentication, authorization and so on. Cloud Access Security Brokers give insight into cloud application use across cloud platforms and identify unsanctioned use. This is important in regulated industries. Also by implementing the CASB, the regulated industries are in compliance with the security standards needed to maintain personal data of the consumers. So set your eyes on a reliable CASB vendor today that manage the cloud resources efficiently and help in securing your company’s confidential data and manage cloud security. Select CloudCodes CASB Solutions and relaxed, Cloud Security is not a big challenge anymore for anyone.